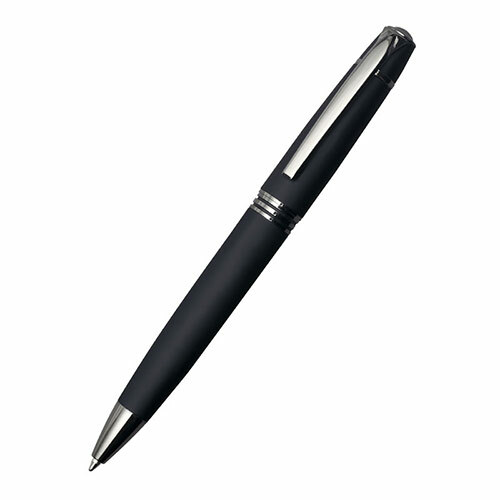 These stylish ballpoint pens have a matt black rubberised finish to aid grip and performance. They include silver colour fittings and a black ink cartridge. They can be branded via laser engraving into the pen body, and are offered here with free text and logo engraving.